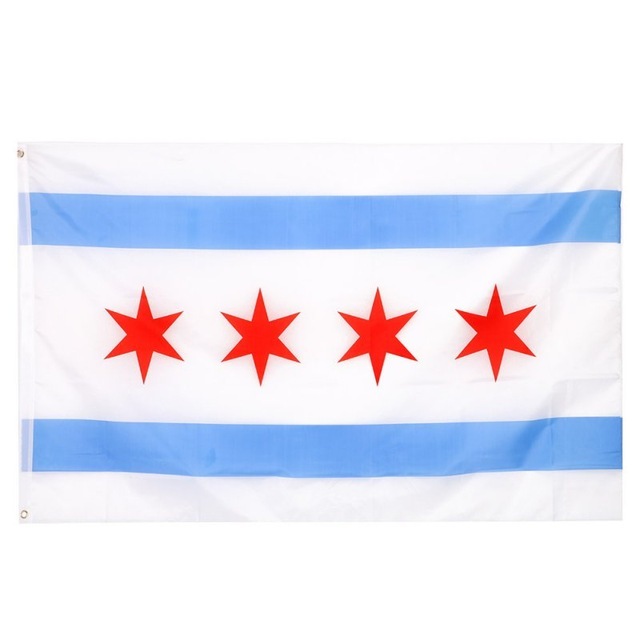 If you're from the Windy City, let everyone know it with this Chicago city flag. It has 2 grommets for hanging on a flag pole. Can also be used at a festival or campsite, or put on your dorm room wall too. Flag measures approximately 3' x 5'.